Dinner tonight was a simple salad accompanied by the new Daiya Creamy Caesar Dressing, sautéed Gardein chick’n strips, freshly cut corn, cucumber, and spinach. It sounds like I’m trying to be really healthy by eating spinach salad for dinner. The reality is this light dinner left me with enough MyFitnessPal calories to have a vegan chocolate chip cookie for dessert. This dressing is epic because achieving creamy textures can be challenging without dairy. 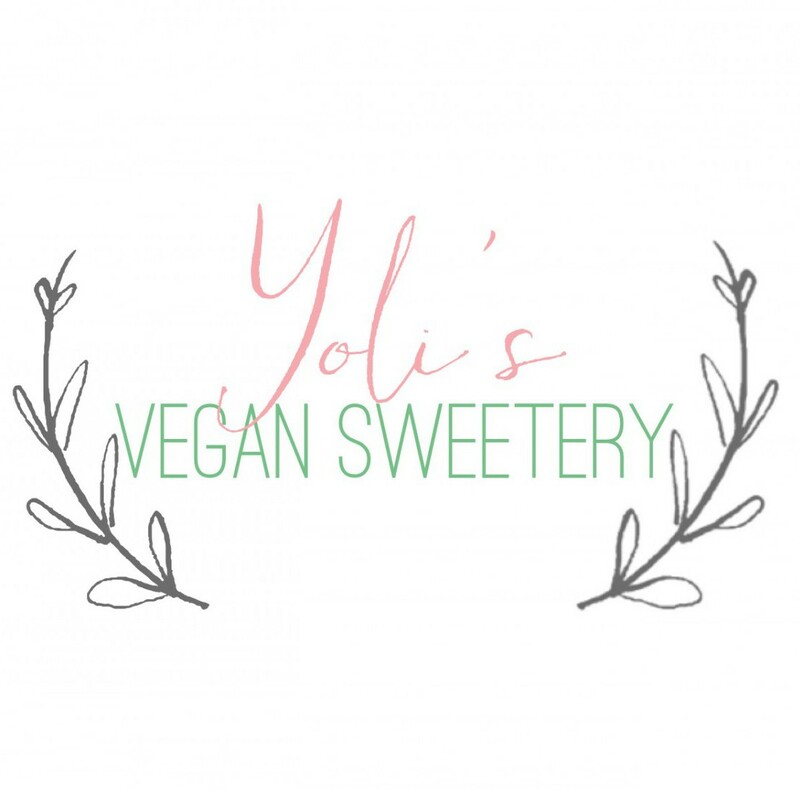 There are certainly recipes for creamy vegan salad dressings but for over two years I’ve opted for vingerettes or enjoyed my salad without dressing. 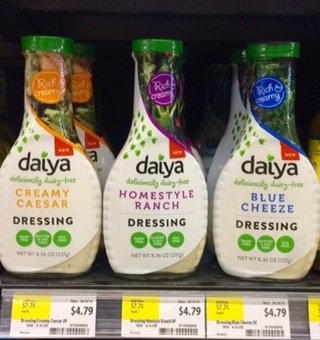 So news of the Daiya dressings sent me straight to Whole Foods. 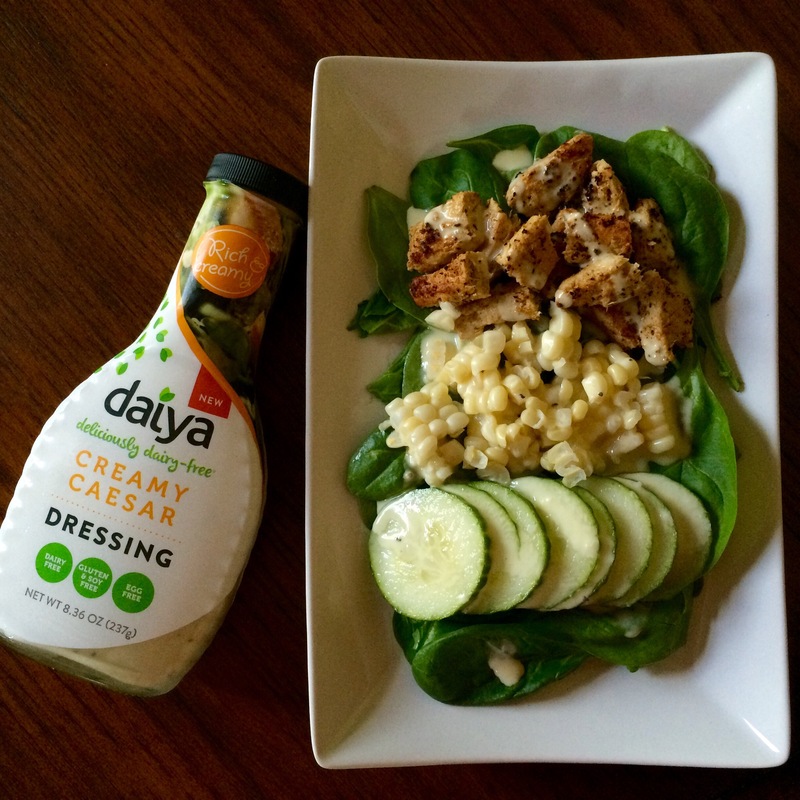 I’m so happy I gave Daiya Creamy Caesar Dressing a try. This dressing is THICK, RICH, and PACKED with flavor. I used a half serving, diluted it with a touch of vinegar, and the flavor was still intact. A word of caution though, this dressing is high in fat so enjoy it on the side of your entree and consider thinning it out to stretch the serving. This dressing is a keeper. Which flavor will you be trying?